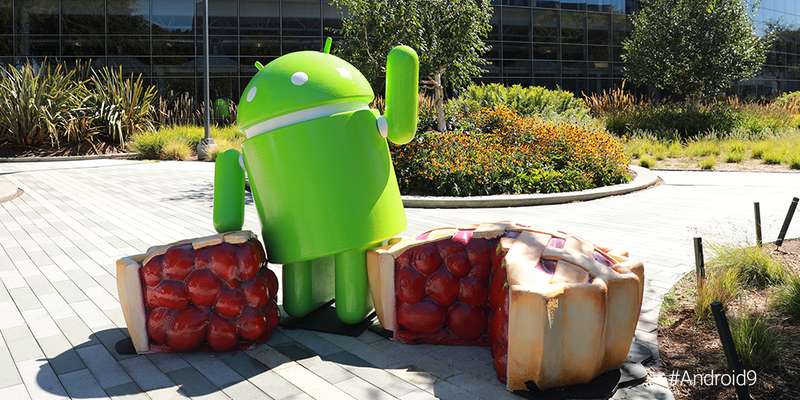 Android 9 Pie was officially released earlier today, but there was one thing missing from the announcement: the statue. 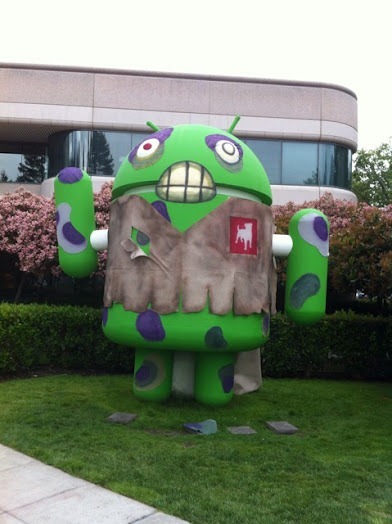 You see, Google creates a statue to put on display at its Mountain View campus for each new Android dessert version. 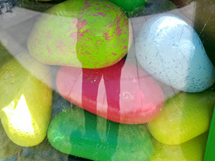 Lately, the statues had been getting pretty stale, though the Oreo one showed some improvement. The statue for Android 9 Pie, however, marks the return to boring bugdroids. 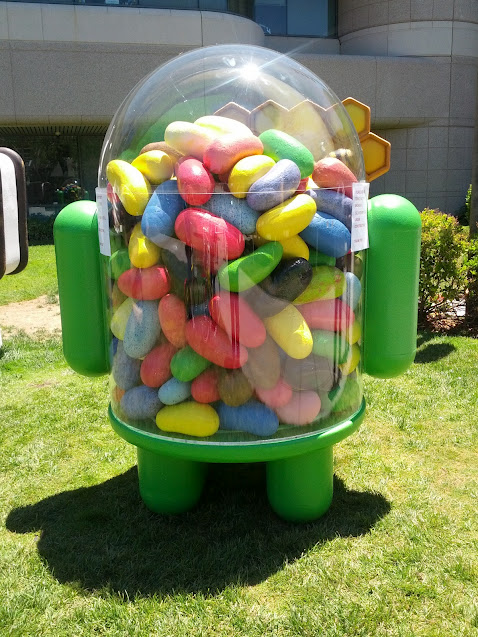 Google's last couple of Android statues have been thoroughly underwhelming. David was so incensed by the lack of effort that went into 'Bugdroid holding a marshmallow' and 'Bugdroid surrounded by 3 bits of nougat' that he even wrote an article lamenting them. 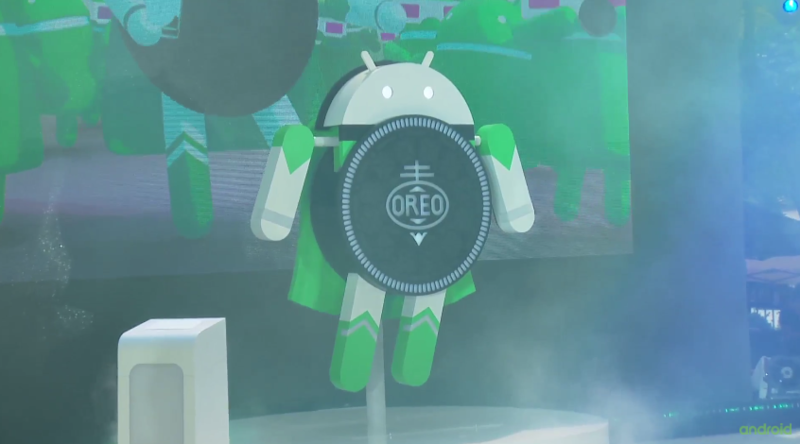 Someone at Google must have been reading because Android 8.0 Oreo's statue is the most impressive for some time: a moving robotic Super Oreo-themed Bugdroid, no less. 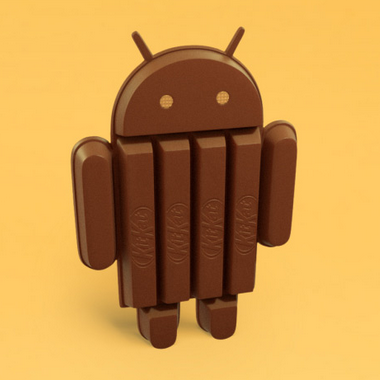 Yup, that's a KitKat Android. 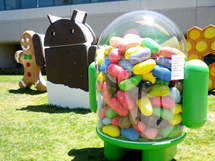 We've all been waiting to hear what the post-Jelly Bean OS would be called, and many people has assumed that it would be Key Lime Pie. Indeed, the occasion was a promo of ZombieSmash!, a new Zynga game being launched on Google Play later this week. 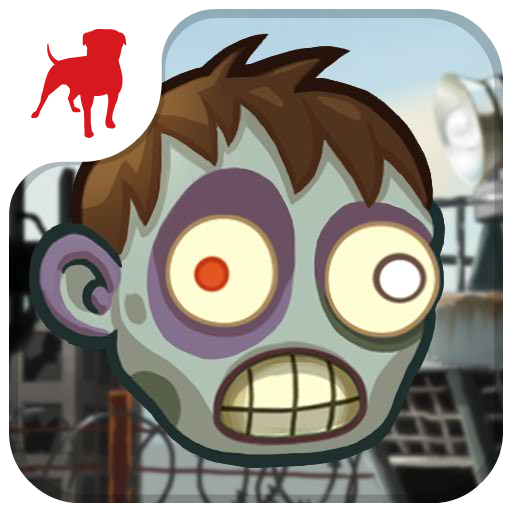 To be clear, the game is technically already on Play, but only in Canada; this week, ZombieSmash! will be made available globally. Update: And we're live! You can download the app for $0.99 using the info at the end of the post. 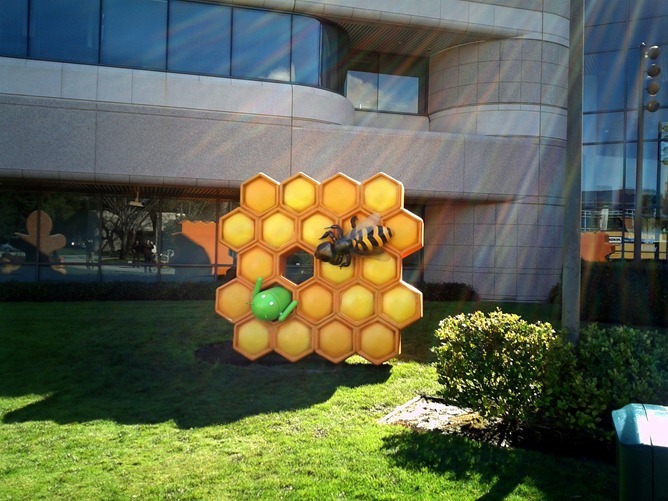 Another snack just arrived at Building 44. 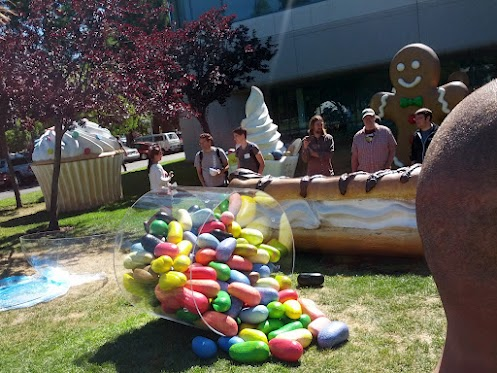 The Ice Cream Sandwich Statue finally joined all his friends in front of Android HQ! 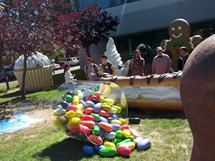 The Gingerbread and Honeycomb statues had unpacking videos, hopefully they took one this time too. Be here October 18th for all the hot (cold?) Ice Cream Sandwich news. Everything is starting to fall into place. What do we have here? 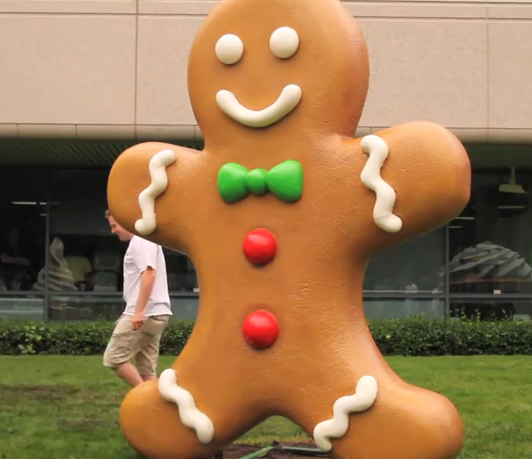 Why, it's a giant Gingerbread statue getting installed over at Googleplex, right next to Froyo and the rest of the gang. It's not exactly what we'd been expecting and hoping to see today, but it's a start. 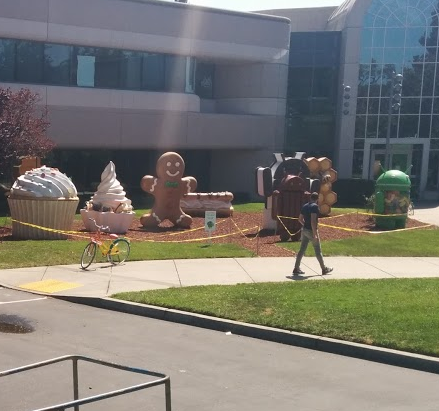 Last time the Froyo statue was installed, we got the SDK a week later. 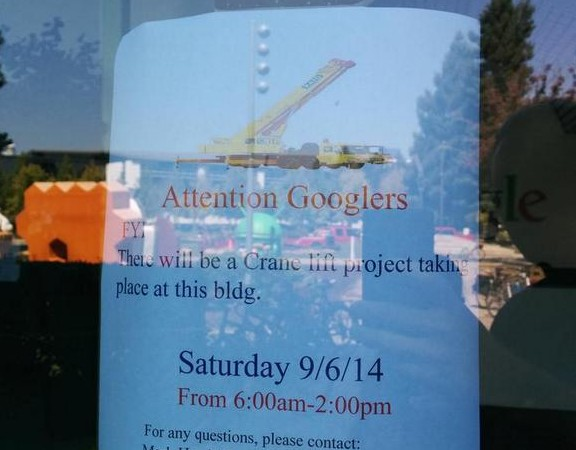 Bring it on, Google!